Yesterday I took the opportunity to come hear you speak on your campaign trail. I have never really heard you speak before except for sound bytes that I get on my computer. I don't have cable, I don't read newspapers. I don't have enough time. I am a public school teacher that works an average of 60 hours a week in my building. Yes, you can check with my principal. I run the after-school program along with my my classroom position. I do even more work when I am at home. For verification of this, just ask my children. But let's put money aside for a moment. What do I want? What do 'we people' want? We want to be allowed to teach. Do you know that the past two months has been spent of our time preparing and completing paperwork for the Student Growth Objectives? Assessments were created and administered to our students on material that we have not even taught yet. Can you imagine how that made us feel? The students felt like they were worthless for not having any clue how to complete the assessments. The teachers felt like horrible monsters for having to make the students endure this. How is that helping the development of a child? How will that help them see the value in their own self-worth. This futile exercise took time away from planning and preparing meaningful lessons as well as the time spent in class actually completing the assessments. The evaluations have no statistical worth and has even been recognized as such by the NJ Department of Education. I am all for evaluation of a teacher. I recognize that I should be held accountable for my job. This does not worry me, as long as I am evaluated on my methods of teaching. I can not be held wholly accountable for the learning growth of a student when I am not accountable for all of the factors that influence this growth. Are you aware that poverty is the biggest determination of a child's educational success. If not, I suggest you read Diane Ravitch's new book Reign of Error. Take a moment and become enlightened. Getting back to the issue of money. I am fully aware of our educational budget. Where is all of this money? To me it seems like it is being siphoned right off into the hands of private companies as they reap the benefits of the charter schools and voucher programs that you have put into place. It certainly hasn't gone to improve school conditions in urban areas such as Jersey City. The conditions that these students and teachers are forced to be in are horrifying. Yet you are not allowing the funds needed to improve these conditions. Are you hoping that these schools get closed down and more students are forced to go to private charter schools while the districts are being forced to pay their tuition? I know for a fact that this is what has happened in Camden and Newark. Yet these charter schools are not held to the same accountability as our public schools. Why is that? Because deep down you know that you are not really dealing with the issues that influence a child's education. You are simply putting a temporary band-aid into place. Unfortunately that temporary fix is already starting to be exposed as Charter Schools are showing that they actually are not able to do better than public schools. 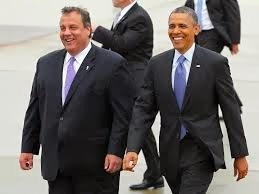 What do “we people' want, Governor Christie? We want our schools back. We want to teach. We want to be allowed to help these children to grow, educationally, socially, and emotionally. We want to be respected as we do this, not bullied. Common Core Critic: November 18, 2013 is "Don't Send Your Child To School Day"
IT’S OFFICIAL… the national “Don’t Send Your Child To School Day” has been set for NOVEMBER 18, 2013!!! This event is part of a national protest against the Common Core State Standards and it will take place in every state across this great country! Please participate in this event and encourage everyone you know to do the same! We recommend that you keep your children out of school on November 18th and help us send a message to the federal government. We the people want evidence-based curriculum that is locally controlled and which does not require data mining our children. Instead of sending your children to school on November 18th, get your children out in public and raise awareness by educating others on the dangers of the Common Core State Standards!!! 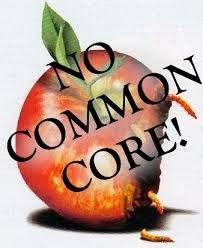 SAY NO TO COMMON CORE! Click here to join the Facebook GROUP, Common Core Critics!